Hypertension capsule is an all-natural herbal product specially for hypertension, repressing cholesterol content, softening the blood and pulse. Hypertension capsule is an all-natural herbal product specially for hypertension, repressing cholesterol content, softening the blood and pulse. It prevents blood vessels from becoming sclerotic. Hypertension capsule is also effective for the symptoms of hypertension such dizziness and ear-ringing. 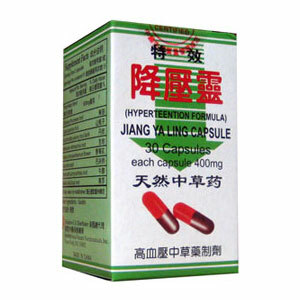 Hypertension Capsule is the latest high-effect formulation which is developed by the modern herbalist in China. It is an ideal product for hypertension. High blood pressure (hypertension), headache, dizziness, ringing in the ear, etc.